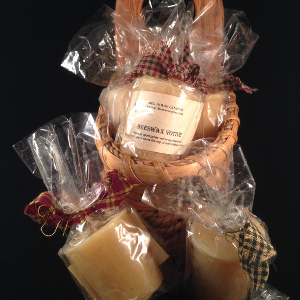 Naked: 100% pure beeswax, natural light honey fragrance. Each beeswax votive is made with 100% pure beeswax and uses only a cotton wick. Burn times may be found here, and wicks should be trimmed from 1/4" to 1/8" before relighting.